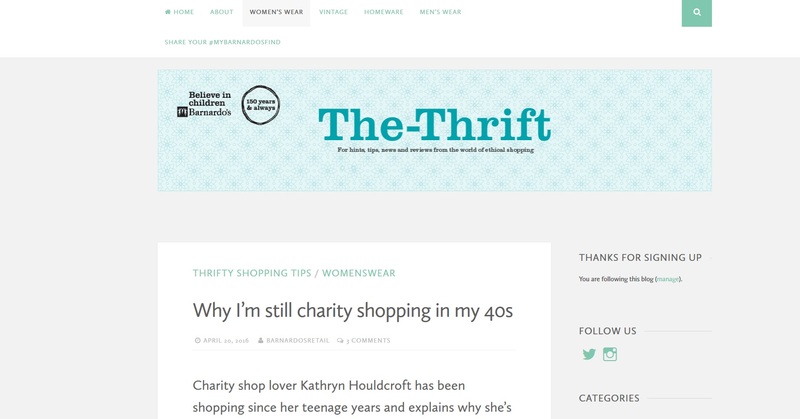 Last month I was asked to write a guest post for The Thrift. This is a blog run by the Barnardos UK charity, promoting their chain of more than 640 shops throughout the country. Barnardos is a well-established charity that cares for vulnerable children (when I was at school I remember being given a Barnardo’s money box to save donations in).